On 22 March 2017 the North tried and failed to launch a Musudan missile. According to South Korea's Joint Chiefs of Staff, North Korea launched an enhanced version of the Musudan mid-range liquid propellant ballistic missile Sunday 12 February 2017 which flew 500 kilometers into the East Sea. This report was in error. The launch was actually a solid propellant Pukguksong MRBM/SLBM. Pyongyang had test-fired Musudan missiles eight times between April 15 and Oct. 20 in 2016. Except for the 22 June 2016 success at which the missile traveled about 500 km, all of other launches failed. The range of North Korea's Musudan ballistic missile may not be as long as the published estimates of 2,000 to 4,000 kilometers. 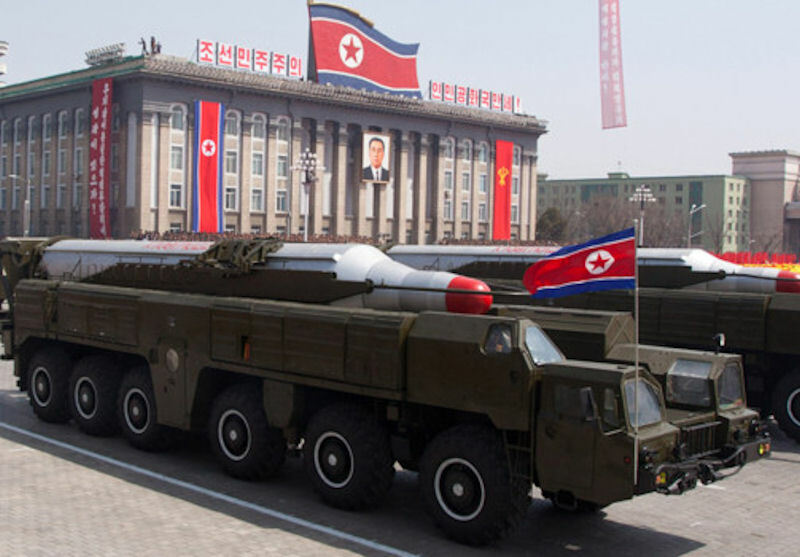 US-based North Korea-monitoring website 38 North quoted experts as saying that the range of a Musudan missile with a payload of 650 kilograms was found to be between 1,900 to 2,350 kilometers. If the findings turned out to be true, then the missile cannot be fired any further then the 2,500 kilometer range of the Soviet Union's retired submarine-launched ballistic missile R-27, of which the Musudan's design is based. The latest revelation also meant the U.S. military base in Guam is out of the Musudan's reach if fired from Korean waters. 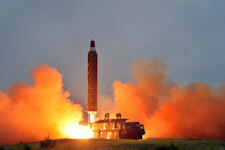 The experts did point out, though, that the missiles still posed a threat to South Korea, Japan as well as China and Taiwan. 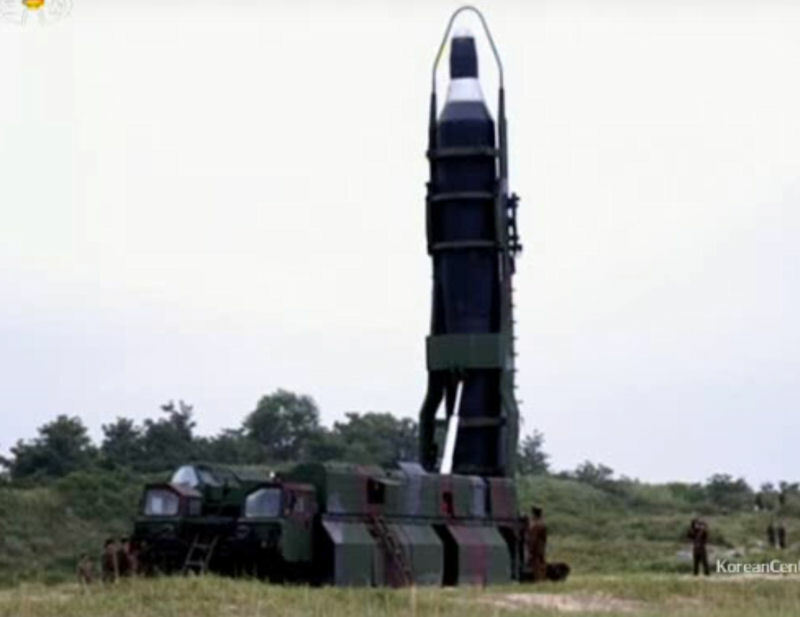 HS-10/No-dong-B/Musadan intermediate-range ballistic missiles IRBM according to the US Strategic Command and the South Korean JCS Command joint assessment explosively failed shortly after launch from its mobile TEL for a second time in less than a week at 7A.M. (Korean Time) on October 19, 2016 from its air base launch site near the city of Kusong in North Pyognan province part of the Sohae infrastructure missile launch test range. It was the eighth launch of the HS-10 in 2016 with only one success accomplished to date. More data is expected to come out in the coming days. 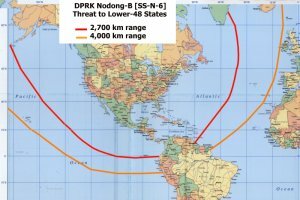 The DPRK accelerated Five Year Plan attempted another launch of it HS-10/ No-dong-B/ Musadan intermediate-range ballistic missiles according to the US Strategic Command at 12:33 PM (Korean Time) Saturday 10-15-16 near the northwestern cite of Kusong air base not far from the Sohae missile test launch infrastructure range head but its launch ended in a mid-air explosive failure soon after liftoff in the early flight program. It is assumed that its flight was intended to be similar to the previous flights but perhaps aimed at Japanese waters impacting in the Sea of Japan, Japan’s EEZ (Exclusive Economic Zone) waters some 250 kilometers from the “Oga” Peninsula, Akita Prefecture north east Japan inside the Japanese Air Defense Zone (ADIZ) instead of up the DPRK east coastal 400 kilometer range. Otherwise the launch could have been planned to fly down the Sohae missile test range as a near full range operational flight test for impact in the Philippine Sea some 3,200-3,860 kilometers or more with a 600-650 kilogram warhead. Like clockwork the launch had been anticipated and thus was not unexpected as are also its follow up test flights expected through 2018 of the present DPRK Five Year Plan. Operational field deployment could be expected sometime as early as in 2017 or 2018 depending on the nuclear warhead readiness for deployment operations. Though the DPRK has not deployed any deliverable nuclear weapons yet it is moving in that direction. They are no longer pursuing reducing the weapons size but only increasing its energy output. Warhead design mass reduced from a known 1,158 kilograms No-dong-A, A1 payload capacity to No-dong-B/HS-10 to a known 650-600 kilograms design mass. The night mare of deploying nuclear weapons and controlling them both for strategic reasons as well as regime protection is looming over that program as it approaches that level of progress. None of the missiles except No-dong-A1 an uprated propellant change No-dong-A have reached that level of reliability through repeated successful launches. Both the Solid propellant SLBM and the No-dong-B/HS-10/Musudan have only arrived at successful flight testing not repeated many times. None have demonstrated full range performance but they were expected to carry that out by 2018 per the five year plans to if nothing else continue the psychological warfare on the world for regime survival. North Korea launched two Musudan intermediate-range ballistic missiles off its east coast on 22 June 2016. The ROK Joint Chiefs of Staff condemned the North's launch, calling it a threat to international peace and security. "North Korea will face stronger sanctions from South Korea and the international community with these missile launches. The South Korean military is on alert and maintaining a full state of readiness in the event of any North Korean provocations that threaten the peace in the South." 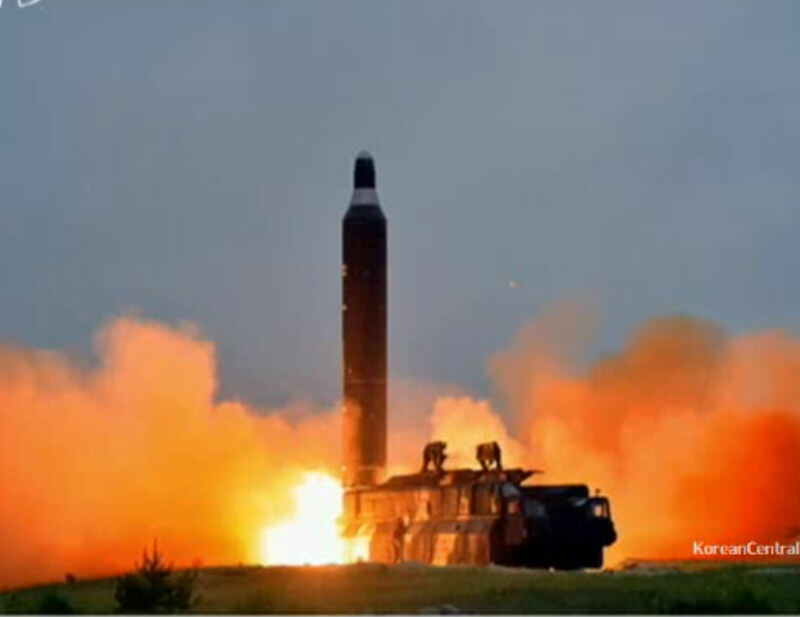 North Korea launched two Musudan intermediate-range ballistic missiles off its east coast on 22 June 2016. The ROK Joint Chiefs of Staff condemned the North's launch, calling it a threat to international peace and security. 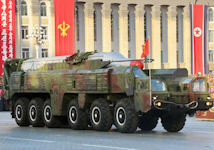 "North Korea will face stronger sanctions from South Korea and the international community with these missile launch. The South Korean military is on alert and maintaining a full state of readiness in the event of any North Korean provocations that threaten the peace in the South." The first missile, fired at 5:58 AM, South Korea time, from the North's Wonsan launch site, flew 150 kilometers before exploding in mid-air. The second [sixth flight test] was launched at 8:04 AM from the same place and is believed to have flown some 400 kilometers down range and 1,413.6 kilometers in altitude, the furthest so far for a missile of this type. The distance was made possible by a steep near-vertical launch angle. Two hours after the first of these salvo launches the DPRK launched a second No-dong-B IRBM at 8:05 AM . This sixth launch (second in this series) of the Musadan [No-dong-B] IRBM missile was believed to be attempting to fly the same high ballistic trajectory with in DPRK territorial water of the Sea of Japan as previously observed in the previous flight test attempts. The 400 kilometer horizontal range with near vertical ballistic trajectory flight attaining an altitude of 1,413.6 kilometers is close to the expected parameters for this flight test program over a 400-500 kilometer east coast waters and airspace range demonstration utilized by the DPRK for most missile flights. That DPRK east coastal range from Kittaeryong DPRK allows for 300-800 kilometer missile performance demonstrations over its coastal waters and international waters of the sea of Japan. Recent test history has seen that limited to about 400-500 kilometers or less. Because this launch series was again unannounced it was clearly to remain within the DPRK coastal waters airspace range of about 330-(420)-500 kilometers. 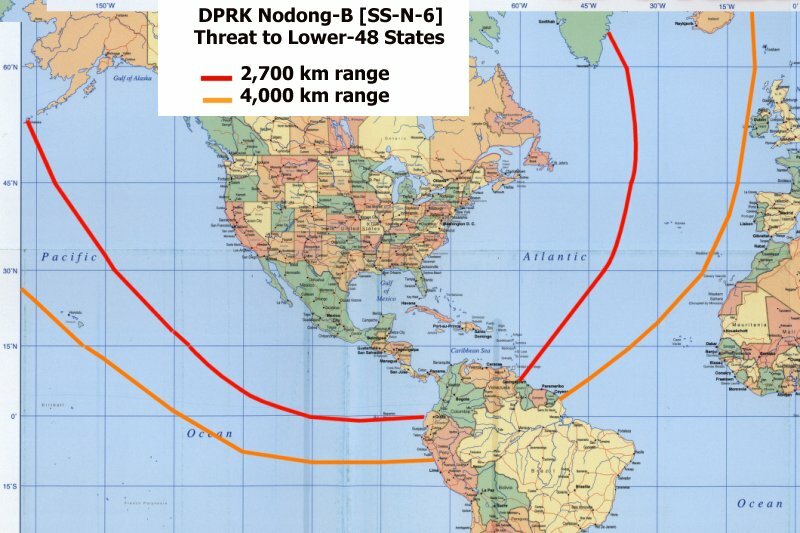 It suggests that the 650 kilogram reentry vehicle was subjected to the most intense ballistic missile type trajectory possible to fully prove the nuclear weapons prototype delivery systems viability. It is possible that the DPRK may have succeeded in its ballistic missile goal or came very close to that goal with this sixth flight test. The DPRK Strategic Rocket Forces were seeminlgy impotent as the Hwsaong-10 continued to fail in flight, but can be expected to return to full service operations. More flight test after further refinements would be expected to follow to prove the delivery systems reliability for operational deployment. A tracking and possible recovery ship was stationed near the down range impact point for the re-entry vehicle and disintegrating launch vehicle. 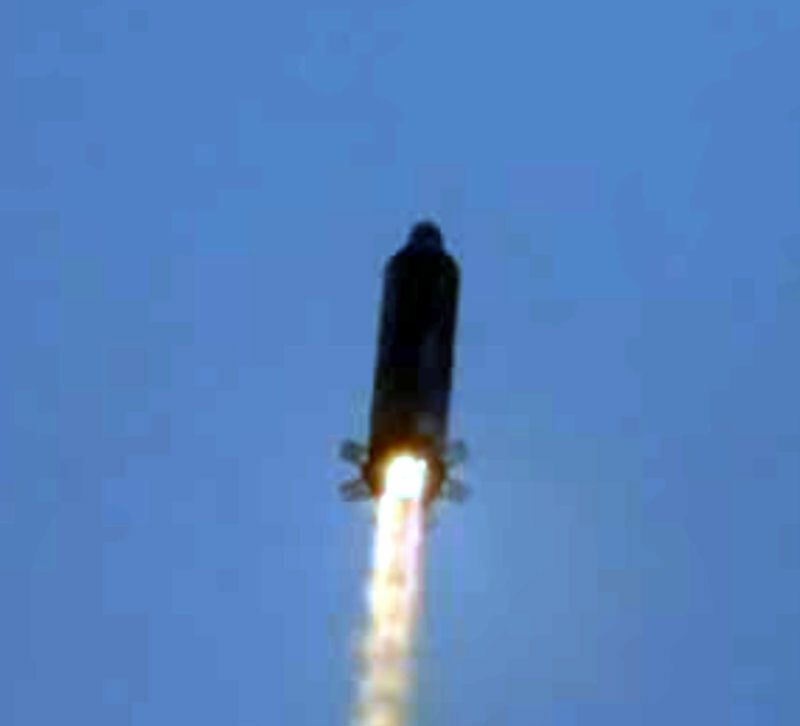 The video of the second flight test on 22 June 2016 was notable in disclosing the novel fin arrangements at the base of the missile. In the past, fins have been used to stabilize and control missiles and aircraft. Conventional fins are planar, constructed of solids or non-porous materials and are mounted on a missile body in such a way as to be aligned with the velocity flow thereby. Conventional fins generate lift or control forces when rotated out of alignment with the air flow there over or when set at incidence with air flow. Many surface-to-surface, air-to-air and air-to-ground, powered and unpowered, guided and unguided munitions have a common feature - fixed, conventionally-shaped airfoil section fins to stabilize and direct the flight path after separation from an aircraft. With these prior art fin arrangement, there are many limitations and therefore there is a need for a fin that has different characteristics and capabilities for use to control missiles or aircraft. The US has undertaken an extensive evaluation of the lattice or grid fin concept. Numerous aerodynamic and systems studies, most notably by Mark Miller and David Washington, have been conducted over the past ten years. Miller, M. and Washington, D., "An Experimental Investigation of Grid Fin Design"; Miller, M. and Washington, D. "An Experimental Investigation of Grid Fin Drag Reduction Techniques"; and Miller, M. and Washington, D., "Grid Fins-A New Concept for Missile Stability and Control." These studies have shown that lattice fins are aerodynamically effective control surfaces that have slightly higher drag than conventional airfoil fins. If increasing priority is given to compact storage, lattice fins have an advantage over conventional systems. They offer interesting secondary advantages as well. They can operate at high angles of attack without flow separation because the multiple channels of the lattice act as guides controlling the flow. Because of their small size and small center-of-pressure travel with large changes of angle of attack, actuator size and power for controllers can be greatly reduced, leaving more space in an air-born system for fuel and other useful payload. Perhaps more importantly for internal carriage, lattice fins allow an air-born payload to maintain similar capability in a smaller package compared to a conventionally finned payload. 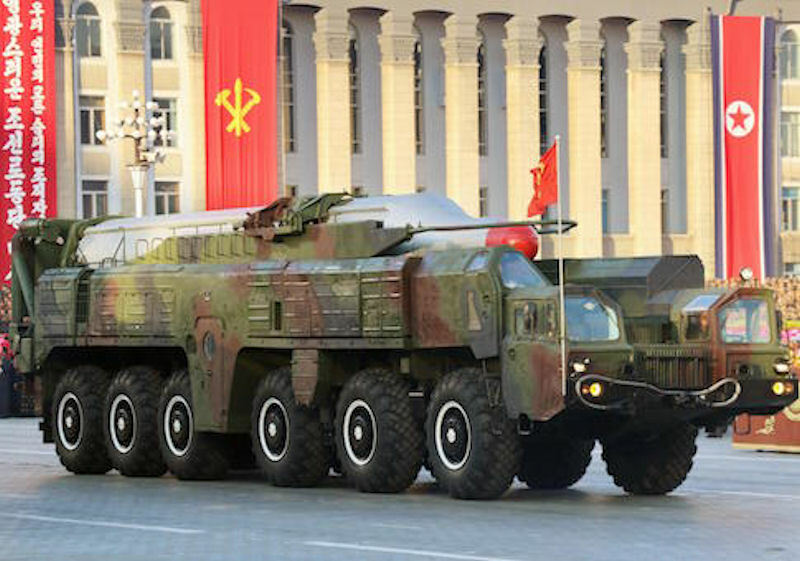 The No-dong-B with a 650 kilogram warhead is designed to have a range of about 3,900 kilometers. The DPRK has continued R&DTE operations to resolve the key technological issues plaguing this IRBM missile system. 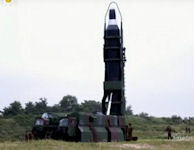 The 12 meter missile, long with a body diameter of 1.5 meters, is derived from the Soviet era SS-N-6 SLBM. This missile had a range of between 3,200 and 3,860 kilometers with a 650 kilogram warhead, based on official Soviet era and US documentation. To date all of the flight test demonstrations encompassed a high arc vertical sounding rocket like ballistic trajectory in the ballistic missile range within the DPRK’s coastal territorial waters. US Department of State / Intelligence Community previous figures indicates 3,860 kilometers performance. With this flight test performance with a 600-650 kilogram warhead can indeed reach to the stated figure of on the order of a potential 3,860-4,000 kilometers but longer range flight testing performance will have to demonstrate this reality before we will really know. The No-dong-B [Soviet era SS-N-6 derivation] carrying a simulated 650 kilogram warhead is designed to have a range of about 3,860 kilometers. 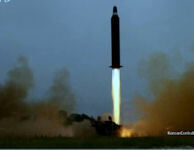 The DPRK continued R&DTE operation to get at the key technological issues plaguing the ground based IRBM missile system. It suggests its single stage main engine fueling apparatus plumbing closed cycle turbo-machinery suffered a catastrophic failure causing the repeated explosions. Some of the problems the DPRK has experienced in recent missile firings are not easily explained. The land based similar system has been successfully flown but when the system of origin has failed in flight in its submarine launch test suggest that they have missed some key technologies required in recent tests now impacting the Hwsaong-10 missile. 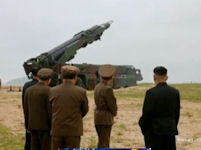 To date all of the flight test demonstration encompassed a high arc vertical sounding rocket like ballistic trajectory with in the DPRK’s coastal territorial waters ballistic missile range. 1. 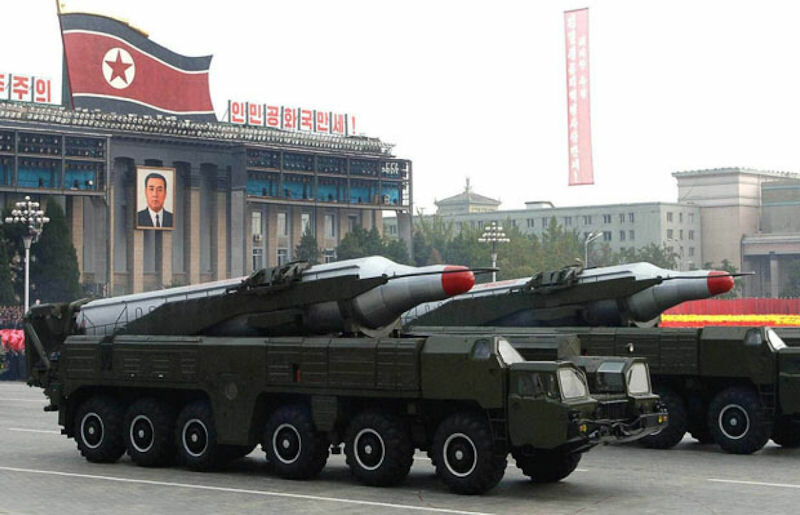 On 15 April 2016 the first acknowledged launch attempt of the No-dong-B / Hwsaong-10 / KN-07 land bases semi-mobile IRBM came on the morning of April 15, 2016 the DPRK Strategic Rocket Forces attempted to launch the No-dong-B at 5:30 am dawn from the vicinity of the east coast city of Wonsan in Hodo Peninsula. 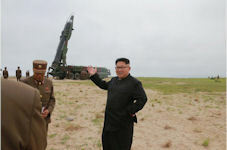 Two No-dong-B’s on their individual TEL’s had been deployed there for about 20 days (late March 2-16) for the preparation build up to this failed launch attempt. The first flight is stated to have veered deviated from its normal flight trajectory 5-6 seconds after launch liftoff, exploding at about 300 feet breaking up in a fiery catastrophic failure, collapsing back on the TEL. It disappearing from the radar systems of the South Korean Defense Ministry. It suggests its single stage engine fueling apparatus closed cycle turbo-machinery suffered a catastrophic failure causing the in flight explosion. The flight test demonstration encompassed a high arc vertical sounding rocket like ballistic trajectory with in the DPRK’s coastal territorial waters ballistic missile range. 2. 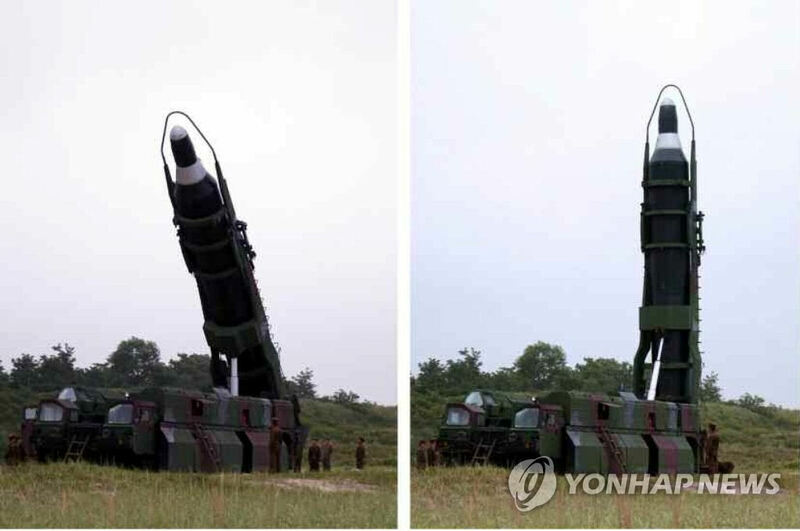 Two No-dong-B’s on their individual TEL’s had been deployed there for about 20 days (late March 2-16) for the preparation build up to this failed launch attempt. The second No-dong-B was stated to be ready for launch as the backup for testing if the first one had problems but that was cancelled at the time after the failure. 3-4. U.S. Strategic Command (USSTRATCOM) systems detected and tracked what it assessed were attempted North Korean missile launches at 4:43 p.m. CDT April 27, 2016, and at 5:24 a.m. CDT, April 28, 2016. After additional analysis, U.S. Strategic Command (USSTRATCOM) assessed that both launch attempts of presumed Hwasong-10 intermediate range ballistic missiles occurred from Wonsan. Initial indications revealed the tests were not successful. 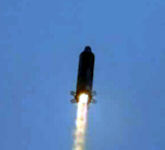 The first of this pare of launches launched outside the east coast city of Wonsan on the Hodo Peninsula veered off course suggesting steering issues crashed into the sea side beach area between 6:40 - 6:43 AM local time and the second launched around 7:26 PM local time seems to have failed midair after flying up several kilometers for about a minute before exploding. This seems to have repeated the April 15 failure mode in the Max-Q region. 5. A No-Dong-B, IRBM on May 31, 2016 underwent it fourth consecutive flight test failure under its new R&DTE program at 5:20 A. M. from its mobile transporter erector launcher (TEL) near Wonsan, on the Hodo Peninsula, Gangwon Province according to the South Korean Joint Chiefs of Staff. It blew up on its launch pad destroying the TEL vehicle that it never cleared. The launch was not detected by South Korean radars because the missile failed in flight at a very lower altitude before being in the detectable post liftoff altitude range but was observed by Japanese and US advanced radar systems cooperating with South Korean joint monitoring of DPRK missile activities. The missile was believed to be attempting to fly the same high ballistic trajectory with in DPRK territorial water of the Sea of Japan as previously observed in the previous flight test attempts. 6. 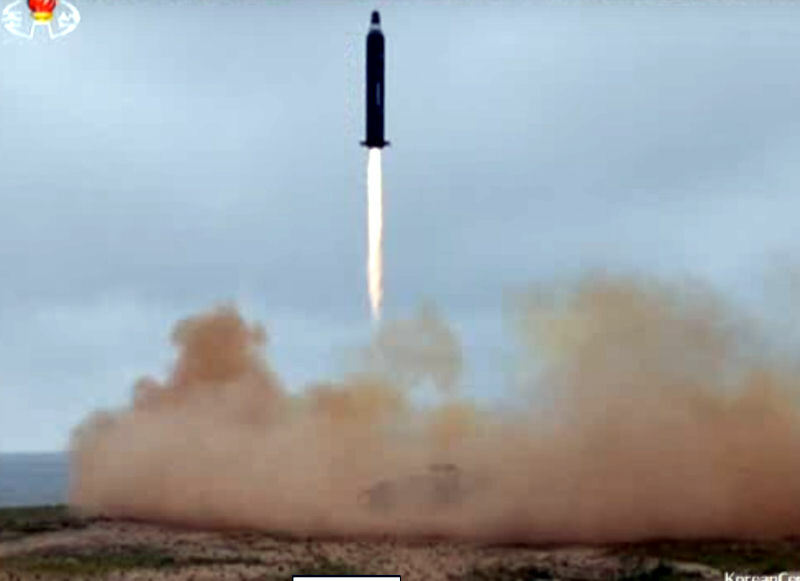 The launch of Musadan [No-dong-B], Hwasong-10, approximately 3,900 kilometer range IRBM was detected on 21 June 2016 by the joint US, Japanese and South Korean forces. It was the fifth launch failure in this R&DTE series. It failed at altitude, after flying some 150 kilometer down range over the Sea of Japan heading up range after launch at 5:58 AM on June 22, 2016. It was launched from the same east coast launch range head east of Wanson area, DPRK. In this case both US, South Korean and Japanese radars detected the launch as it took place or soon after it gained some altitude. This fifth flight test attempt of the semi-mobile mobile transporter erector launcher (TEL) was conducted near Wonsan, on the Hodo Peninsula, Gangwon Province according to the South Korean Joint Chiefs of Staff. The design bureau may have been under such pressure for a full range strategic rocket demonstration prior to the Party Congress some weeks back as to literally launch as many missiles as possible hoping both to succeed close enough but also get at the vehicles systemic problems observed. Kim jung-un’s gambit did backfired at the wrong time before the Party Congress. These missiles use the same in the propellant tank submerged rocket engine and closed cycle turbo machinery if the turbo machinery is breached for whatever reason it creates an instant-ious fire explosion. It would appear that the failures are characterize as being systemic in nature. It suggests its single stage main engine fueling apparatus closed cycle turbo-machinery suffered a catastrophic failure causing the in-flight explosions. At least two of the four failures have suffered from a launch hard start of the main engine with the catastrophic results clearly displayed. That hard start if survived through initial launch may leave the lingering turbo machinery damage that soon catches up causing the explosive failures observed. Yet static test firings have shown it works correctly but in flight issue have caught up with the systems noted. Static test firings have shown it works correctly in a cluster of two engines seen successfully demonstrated for the KN-14 first stage recently. All of the 50 or so missiles of this type will have to be return to the factory for retro fits when the issues is identified and the fix is resolved. If the fixes are outside the mobile truck kits to change the system they are intentionally sent back to the factory as the Soviets and Chinese have and still carry out. The KN-14 Limited Range ICBM prototype uses the same engine in a cluster of two in its first stage directly impacting it development because of these launch failures. Some of the initial test flights seem to have experience a failure in the Max-Q region. The area of maximum dynamic pressure – max q – is the period when the aerodynamic forces on the launch vehicle are at their greatest. The density of the air decreases with altitude in a complex manner. The velocity of a rocket during launch is constantly increasing with altitude. Therefore, the dynamic pressure on a rocket during launch is initially zero because the velocity is zero. The dynamic pressure increases because of the increasing velocity to some maximum value, called the maximum dynamic pressure, or Max Q. Then the dynamic pressure decreases because of the decreasing density. The Max Q condition is a design constraint on full scale rockets. On the US Space Shuttle, around 30 seconds into ascent, the liquid propellant main engines were throttled down — usually to 72% — to reduce the maximum aerodynamic forces acting on the Shuttle at Max Q. Additionally, the propellant grain design of the solid motors caused their thrust to drop by about 30% about 50 seconds into ascent, again, to ease the transition through Max-Q. Once the Shuttle passed Max Q, the main engines were throttled back up to 104.5%; this throttling down and back up was called the "thrust bucket". The space shuttle Challenger was lost at this point in flight, when the call "Go at throttle up" was given. However the Soviet era rocket engine technology utilized by the DPRK only utilizes rocket engine on and off commands with not digital throttling. Whether the DPRK has utilized step throttling in the flights of the Hwasong-10 remains unknown. Some of the problems the DPRK has experienced in recent missile firings are not easily explained in the face of the same similar systems success in the post flights known. The design bureau may be under such pressure for a full range strategic rocket demonstration as to literally launch for broke as many missiles as possible hoping both to succeed close enough but also get at the vehicles systemic problems defined through accelerated flight testing operational environment observed… All three missiles KN-11, HS-10 & KN-14 are using the same first stage closed cycle RD-4D10 engine variants. Answer B: The “hard start” is an improper mixing of the propellants at the wrong time or place which is a flow control issue of the propellant manifold issue. That has apparently been resolved by precise presetting programming of the flow control valve system. Typically Soviet era engines are started run and shut off as the only programming required but this has required more homework for the setting parameters. 2. It suggests its single stage main engine fueling apparatus plumbing closed cycle turbo-machinery suffered a catastrophic failure causing the repeated explosions. Answer D-E: Its single stage main engine fueling apparatus plumbing closed cycle turbo-machinery suffered a catastrophic failure causing the repeated explosions. This kind of failure could occur anywhere in flight but they are systemic of a common issue and failure in design specification requirement. The near max-Q failures seem to relate to the maximum dynamic loading failure of the internal plumbing its single stage main engine fueling apparatus closed cycle turbo-machinery suffered a catastrophic failure causing the repeated explosions. If the propellant lines whether the main flow line or those associated with the closed cycle turbo-machinery are breached rupture anywhere along the separated flow controlled process the mixing of the propellants cause an instantaneous internal explosion of the hypergolic propellants and launch failure. This is indicative of a propellant line seal failure possible precipitated by propellant/tankage control stabilization short coming or outright seal/weld stress failures. The propellant slosh baffling or stronger welds of the plumbing are typically required to resolve these hard to identify and resolve issues that require repeated flight testing to resolve. Alternatively the use of simulated ground static testing of the full systems based on the flight test loading inputs. Additionally the static test firings that do not immerse the full engine turbomachinery in the propellant tanks for the test that if it is breached as suspected will severely damage the test stand from the explosive failure. Careful internal TV imaging during static test firings would be required to identify the failure areas. The DPRK has clearly walked away from this finality test stressing another more tedious approach. DPRK welding quality does not impress at all from what has been observed. Answer C: The veering off course is directly due to the two steering Vernier’s somehow not doing their job properly or outright failure in some element of the proven system. 4. ….the second launched around 7:26 PM seems to have failed midair after flying up several kilometers for about a minute before exploding. This seems to have repeated the April 15 failure mode in the Max-Q region. 5. At least one suffered from a launch hard start of the main engine with the catastrophic results clearly displayed and this may have repeated itself in the land based version this time. Yet static test firings have shown it works correctly in a cluster of two engines seen successfully demonstrated for the KN-14 first stage recently. At least two now have suffered from a launch hard start of the main engine with the catastrophic results clearly displayed. 6. That hard start if survived through initial launch may leave the lingering turbo machinery damage that soon catches up causing the explosive failures observed. 7. It suggests its single stage engine fueling apparatus closed cycle turbo-machinery suffered a catastrophic failure causing the inflight explosion. 8. ….experimental launch ejection test operations resumed successfully on December 21, 2015 after its failed launch ejection attempt test on November 28, 2015 according to the Bill Gertz, Washington Free Beacon 01-05-2016 information. DPRK engineering technical personnel along with it Russian Federation Makeyev OKB acquired personnel clearly have defined the expected launch problems with the known snubber solutions applied to the external missile skin to assist with a clean launch from it launch tube via its solid motor burn hot gas pressure release and ejection to get the rocket above the ocean surface for rocket engine startup.